British voters are more skeptical about Brexit than they’ve ever been and would probably vote against leaving the European Union if the government called a second referendum, according to new research. 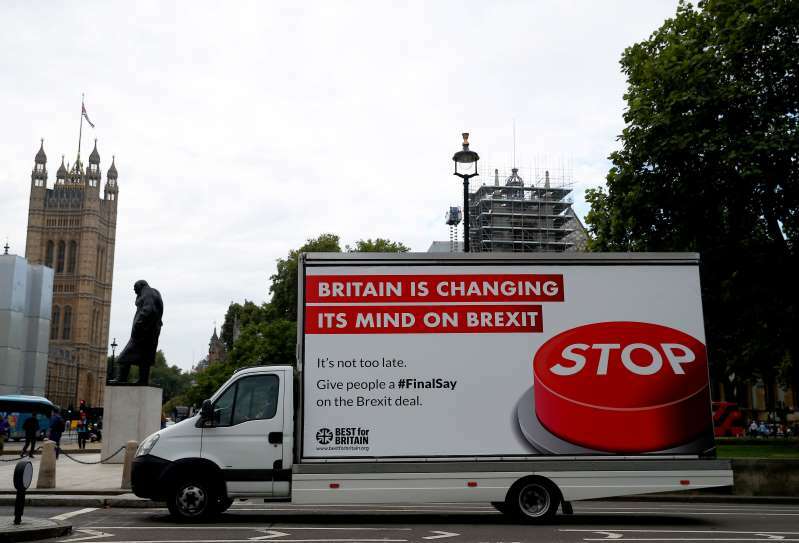 The reason for the change of heart is a growing fear among previously pro-Brexit voters that leaving the EU will damage the economy, the report from NatCen, a leading social research institute, found. The research is based on repeated interviews with the same 2,048 people and compares their answers to questions on the same issues over the past two years. The findings are likely to bolster the growing campaign inside the U.K. for a new referendum on the final terms of the divorce. Prime Minister Theresa May has promised not to call a second referendum, but the main opposition Labour Party is keeping open the option of supporting a national vote on the outcome of the negotiations. On Tuesday, the GMB trade union, which donates funds to Labour, came out in favor of another referendum to give the public the chance to approve or reject the final Brexit deal. Talks are stuck over the question of how to avoid the need to put up a hard border between Northern Ireland, which is part of the U.K., and the Irish Republic. Both the U.K. and the EU want to finalize the divorce terms by November to allow time to get the agreement through the British and European parliaments before exit day on March 29. The NatCen study, led by John Curtice, one of Britain’s most respected political analysts, found people are more likely to be critical of how May’s government is handling the exit talks than they were at the start of 2017. “The reputation of the U.K. government has seemingly suffered more than that of the EU from the perceived progress of the Brexit talks to date,” it said. While the desire of voters to curb EU migration into the U.K. has decreased, there’s “something close to a consensus” in favor of keeping close trade ties between the U.K. and the EU. That’s potentially bad news for May, who has built her Brexit plan on a promise to leave the EU’s single market in order to be free to control migration. “Nothing is more likely to persuade someone who voted Leave in 2016 that perhaps they made the wrong choice than the perception that the U.K. economy will suffer as a result of Brexit,” the study said. When the respondents’ previous voting patterns are taken into account, the results imply that a second referendum would see 54 percent vote to stay in the EU. In the 2016 referendum, 52 percent voted to leave the bloc.